About a month ago, I posted a few general tips regarding how to pick cycling shoes. Since this is a popular topic and a common question for most beginning cyclists, I wanted to expand upon the idea a bit more by discussing the categories of cycling shoes that will help you make your decision. Furthermore, I wanted to feature several cycling shoes that have shown to be the most popular. My hope is that this, in addition to my previous post, can help you find the perfect shoe for your riding situation. In my last article, I discussed the importance of considering the sole of the shoe, how well the shoe fits, how comfortable it is, the cost, and considering foot pain. Here, I want to delve in a bit deeper and discuss the types of bikes that you might be riding in order to help you narrow your search. Read below and find what kind of bike you’re riding to help you with shoe shopping. If you have a road bike, you’re going to be looking for a shoe that’s lightweight in construction, has smooth outsoles, and good ventilation. They don’t have traction on the soles and don’t flex, so don’t expect to use them for anything other than cycling. Generally, the soles are made from low-profile plastic or carbon. When you’re searching out the perfect road shoe, you’ll first want to examine the cleat compatibility. Most often, road shoes will use a three-bolt cleat mount. However, some are not designed to fit this type of mount. If you’re unsure, make sure you know the make and model of your road bike and discuss this with a representative at your local bike shop (or wherever you’re buying your shoes). Next, consider whether you want your shoes to buckle, strap, or lace. These are the three types of fastening that you’ll find amongst road shoes. Traditionally, ratchet buckles are strong and easily adjustable. Velcro straps and sturdy and lightweight. BOA laces are the lightest of all and typically don’t bother feet with pressure points. Finally, you’ll want to consider the ventilation of the shoe you’re buying. The most important thing to weigh here is what kind of climate you’re riding in. If you live in a colder place, you’ll want a shoe that’s not as well ventilated as a shoe that’s built for hotter temperatures. Many beginning cyclists don’t know that a triathlon shoe is different than a road shoe. The main difference of a triathlon shoe is that it’s easily removable and have a softer lining than road shoes. When you’re preparing for a triathlon, you’ll definitely want this type of shoe over a road cycling shoe for a quick change and an easier transition. The biggest aspects of a triathlon shoe that you’ll want to look for are easy-to-use velcro straps, heavy ventilation, and cleat compatibility. You want to be sure that the strap that secures the shoe onto your foot is easy to do and undo. Secondly, heavy ventilation is important to allow the foot to dry after a swim. Many triathlon shoes are built with the idea that you won’t be wearing socks. 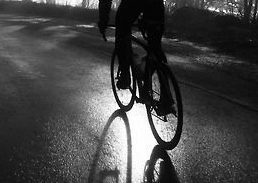 Therefore, the quick drying of the foot when you ride is of the utmost importance. Finally, you must also consider the cleat compatibility for the same reasons as I discussed above. Finally, if you plan to mountain bike, the type of shoe that you’ll want to purchase varies greatly from road shoes and triathlon shoes. When you look at a mountain bike shoe, the first major difference you’ll see is that they have lugs and grips on the soles. These features make it much easier for you to walk, which you do much more often while mountain biking. Mountain bike shoes also have different cleat systems and are generally make from sturdier materials to protect your foot in rougher terrain. The first thing to consider when buying a mountain bike shoe is that the sole is flexible. Of course, this depends on whether or not you think you’ll be walking a lot. Think about the kind of terrain you’ll be riding your bike through. If you know you’ll have to walk your bike often to navigate through brush, for example, you’ll want your shoe to be more flexible so that the walking doesn’t become uncomfortable. Secondly, make sure you once again consider cleat compatibility. As I mentioned, mountain bikes have different cleat systems. They affix using only two bolts. This is so that they don’t catch debris like leaves or sticks when walking. Again, check with a representative at your local bike store if you aren’t sure what kind of cleat system you need. Finally, like before, considering ventilation is important for mountain bike shoes as well. If you’re riding in the cold, a waterproof, Gore-Tex lined shoe would prove most useful. If you’re going to be riding in warmer weather, a mesh-covered shoe that’s lighter weight would be preferable. According to bicycling.com and singletracks.com, and triathlete.com, these are the top cycling shoes on the market. 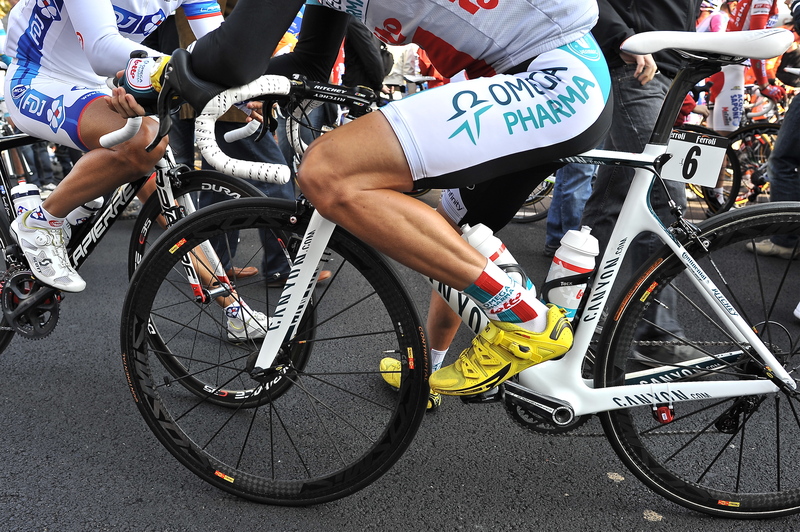 If you’re considering buying new cycling shoes, be sure and check out these top picks.